Led by the United Kingdom, the Europeans are weighing how to deal with the vulnerabilities created by relying solely on signals from GNSS. As in the U.S. their options include recycling their old Loran C navigation sites to support an enhanced Loran (eLoran) service as a backup for GPS and Galileo. The European Commission (EC) is funding a study in support of a European radionavigation plan, said the source, and that study discusses the need for resilient PNT and looks at using terrestrial systems as well as space-based signals. The European Space Agency is also taking a broader perspective in its new navigation program, describing its new endeavor as a PNT effort, not a GNSS one, and putting a strong emphasis on hybrid systems, said the expert. Feeding into those broad European efforts are two PNT-focused studies in the U.K., including a Blackett Review at the highest levels. Sir Mark Walport, the U.K.’s Government Chief Scientific Adviser, is conducting the review, which should be completed by the end of this year, several sources, told Inside GNSS. All of those who described the work asked for anonymity to be able to discuss it freely. The Blackett team is looking at how dependent critical services are on GNSS and, therefore, how vulnerable they would be to GNSS disruption. The study springs from an earlier Blackett Review which recommended looking more closely at timing data, a course of work that was later expanded to include position and navigation. The review will incorporate the results of a separate but related study looking at the fiscal consequences of a GNSS disruption in the U.K.
“It just looks squarely at the economic impacts,” said one of the experts. Together, said one of the sources, the two studies will give a well-rounded view of the PNT-related economic and technical challenges faced by the U.K. including critical infrastructure dependencies. Perhaps more importantly, they will also look at possible solutions. The Blackett Review will include recommendations, the source said, which could range from doing additional studies or developing a strategy to boosting funding in a particular area. The recommendations are quite high level, they said, but carry a lot of weight. “The recommendations are effectively from the government’s chief science adviser,” the source explained. The format of the Blackett Review may be especially useful. It is a type of study that follows a set process of analysis and presentation aimed at supporting government policymakers. Depending on the findings the U.K. may move quickly to implement some of those solutions, an expert said. One of the options that could be suggested is the implementation of eLoran — though that is not a course of action Great Britain can undertake on its own. The eLoran system, which the British have been demonstrating at their Anthorn site, sends out powerful, low-frequency signals using terrestrial transmitters that do not have the same vulnerabilities as space-based systems to space weather or future on-orbit conflicts. 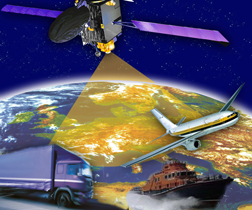 The system is widely considered to be a promising backup for GPS, particularly for timing data. “eLoran has a very stable frequency output, a frequency available because it’s based on three atomic clocks on the stations just like GPS has three atomic clocks in the satellite,” added Charles “Chuck” Schue, the co-founder, president and CEO of UrsaNav, which provides eLoran technology. UrsaNav has been working with the Harris Corp. and the U.S. government through a Cooperative Research And Development Agreement (CRADA) to test eLoran as a wide-area timing source in the United States. Schue is also a co-owner of Taviga with Charles Curry of Chronos Technology Ltd. Taviga supports low frequency PNT in Europe including eLoran. More information here. Both the U.S. and Europe have a system of old Loran C stations that could be converted into eLoran stations. Unlike the U.S., which has removed the equipment and towers from the majority of its sites, the Europeans have been keeping their sites in working condition until a final decision on eLoran is made. There are five European nations with Loran sites. The U.K., Germany and Denmark each have one site, France has two (though one source expressed concern one had been shut down) and Norway has three. Norway did have four sites, but dropped its northernmost station. With the exception of that one Norwegian site, Schue said he believed the European Loran stations were being kept “dry and warm” — that is they are generally not operating but the power was still on. The Germans have repurposed their site for another kind of service but not one that would conflict with eLoran, said Schue, so a multi-purpose broadcast site remains possible. Though the U.K. work seems to be moving smoothly there have been notable, nontechnical disruptions. It is unclear, for example, how the U.K.’s exit from the European Union (EU) will impact future cooperation and the rules of the June 8 U.K. election, which was still on the horizon at press time, required that British officials not make decisions, release study results or speak publicly. On top of that, should the U.K. government change hands there also likely will be transition-related delays. In fact, there is at least one important personnel change already in the works. Sir Walport was recently tapped to lead the U.K. Research and Innovation (UKRI). Hopefully that shift will not delay the Blackett Review too much. Walport is to continue with the study, said one person familiar with the work, and his replacement will likely co-chair the research. Meanwhile, across the pond in the United States, efforts to set up a GPS backup remain mired in studies. The U.S. is now roughly a year and a half into an effort to establish requirements for a GPS backup system. This followed an extensive research effort in 2014, which was itself a follow-up to a three-year study completed roughly seven years earlier. According to a Dec. 7, 2016 presentation by Jim Platt, the director of the Department of Homeland Security’s PNT Office, to the National Space-Based PNT Advisory Board, the validation of the timing requirements for critical infrastructure should be completed by September. Though the technology has not improved or changed significantly since earlier studies, Goward said the people in the administration feel this is the path they are compelled to pursue. In fact, a new bill was introduced in Congress May 18 with provisions mandating that the Secretary of Transportation work with the Commandant of the Coast Guard to establish eLoran as a backup for GPS in the United States. Among other things the new system would have to be wireless, terrestrial, synchronized with coordinated universal time, and able to penetrate underground and inside buildings — all characteristics of eLoran. That’s quite a proviso given that it’s been a lack of appropriations that has been holding up deployment of eLoran in the U.S. for years. A plan to deploy eLoran, the culmination of that three-year study, was first announced in 2008 by the Department of Homeland Security. With some $160 million in upgrades to the old sites nearly completed, DHS wanted to move the Coast Guard —which was and is responsible for Loran — to the National Protection and Programs Directorate or NPPD, which was in charge of infrastructure protection, according to Goward. The transfer was stalled, however, because DHS put the enacting language in its budget proposal and Congress failed to get it passed, resorting to a continuing resolution instead. The program was then cut on the recommendation of the Office of Management and Budget, which made a last minute change to President Obama’s first budget to showcase the White House’s ability to find savings. Despite loud protests the money for Loran C stayed cut, effectively killing eLoran in the process. Promises to restore the program were never fulfilled, according to Goward. A more detailed summary of what happened can be found on the Foundation’s website. Though Congress eventually ordered the sites preserved pending a final eLoran decision, the lawmakers were too slow to save the infrastructure. The Coast Guard was ordered to dismantle the sites and didn’t have the funding to do otherwise. They efficiently emptied the majority of the 25 sites, largely flushing the $160 million in upgrades in the process. There is one bright spot amidst the tangle of delays and equipment loss — the launch of a new, formal development process for international eLoran standards. Loran C never had a classic set of standards to govern the development of receivers and other equipment; it operated under an instruction from the Commandant of the Coast Guard. SAE International, a professional association and standards development organization with over 127,000 members worldwide, has elected to change that. The SAE Aerospace Council is taking on standards development for eLoran equipment as part of the work of a new committee devoted to position, navigation and timing standards. Committee AS-5, which is under the Aerospace Avionic Systems Group chaired by Bill Woodward, met for the first time in May. They also launched work on an Interface Control Document for eLoran. This contains the kind information necessary to build transmitters and receivers and Woodward said he hoped to have it published in 90 days — that is by roughly the end of August. In addition, the committee is writing an AIR or Aerospace Information Report on eLoran, which aims to address any misperceptions by publishing accurate information and thereby creating a common foundation for discussion. According to AS-5’s Work In Progress list there are another three other documents under development — so it’s no surprise that Woodward is looking for technical experts to join the committee. Voting members, who should be able to contribute technical expertise to the committee’s work, attend three meetings in a row, making it an 18-month process to become a voting member. Continued good attendance is necessary to maintain a voting membership. Woodward may be hoping that the establishment of AS-5 and formal standards can ease the development of eLoran systems as well as new eLoran equipment.